Titanic is first and above all a love story” (James Cameron). Rarely have truer words been spoken. As the years have ticked by blockbuster films have come and gone, spectacular visual effects have wowed audiences the world over time and time again and records continue to be broken again and again. Yet, something stays the same. Something that has not changed since the winter of 1997. Titanic remains in the hearts and minds of millions the world over, as the enduring romance of modern cinema. The survival of this romance owes great thanks to composer JAMES HORNER’S unforgettable themes that are as fresh today as they were all those years ago. 2012 sees the rerelease of TITANIC in theatres, celebrating the film’s 15th anniversary and acting as remembrance on the disaster’s 100th anniversary. 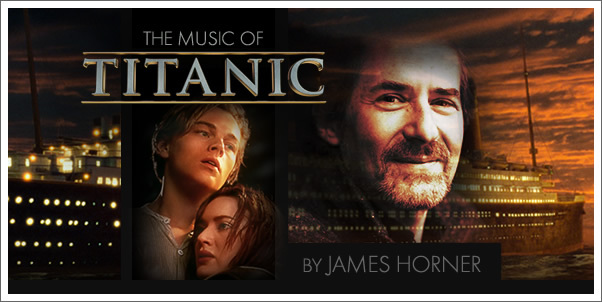 To coincide with this rerelease, JAMES HORNER’S original release and subsequent additional music release combine with music from other artists to form the TITANIC ANNIVERSARY EDITION. Additionally, The White Star Chamber Orchestra and Choir perform music from the 1997 film, the musical, and even John Barry's Raise the Titanic on TITANIC: AN EPIC MUSICAL VOYAGE.